Kataoka 9 dan, who is a commentator of this game, expressed the moves like, "it is just like dislocating one's jaw". He continued to comment, "If Black can play a next , it would be quite nice shape for Black. 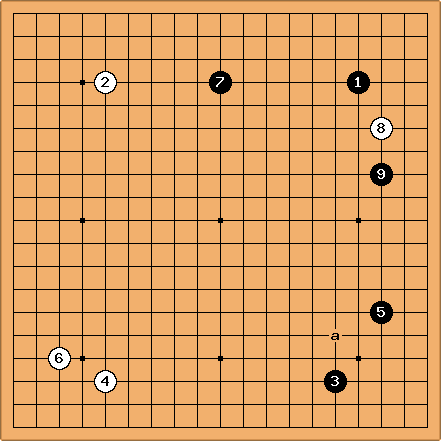 However, there are no such good moves from White."